Dr. Claire Raftery is the Head of Education and Outreach at the National Solar Observatory. She is based in Boulder, Colorado, and divides her time between there and Maui, Hawai’i – where the NSO is building the Daniel K. Inouye Solar Telescope (DKIST). 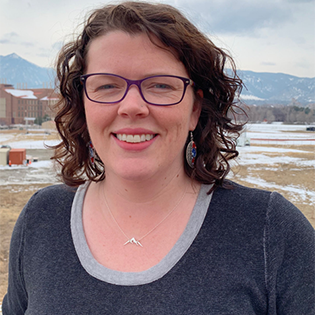 Dr. Raftery earned her Doctoral Degree from Trinity College in Dublin, Ireland where her research focused on the connection between solar flares and coronal mass ejections and their effects on the Sun’s lower atmosphere. She spent some time working with the RHESSI X-ray satellite team at UC Berkeley before finding her path in science education. She was involved Education and Outreach programs for a variety of NASA and International space missions before moving to the National Solar Observatory. She now leads a small team that is focused on innovative ways to engage the general public in the excitement of solar astronomy and on providing access to scientific pathways to students from all backgrounds.